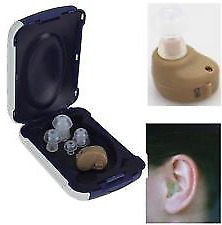 Hi, I’m interested in Hearing aid aids amplifier new in box with batteries STOCK CLEARANCE!. Please contact me. Thanks! 2 Rexton JOY M hearing aids for sale. Brand New & manufacturered in Bloemfontein, Free State, South Africa. It's has 2019 high-end specs & an afoeafford mid-rang price. Real-time heart rate detector, Pedometer analysis, sedentary remind, sleep monitoring, anti-lost, Information sync, Sensor Hub, Google play, Google now, Google map, Weather, Facebook, Twitter, Whatsapp, Voice search, Calendar, Alarm, Music, phonebook, phone call. Free Shipping, all will take 3-5 business days express shipping, excluding holidays. Traders are welcome, price not negotiable though due to obvious reasons & price is extremely low for what's on offer. lightweight and battery powered for maximum portability. pumping. This condition may occur suddenly to any age group without warning. Brand new Infrared thermometer, used to measure the temperature of the CNC bits; R 495.00 excl vat. Visit any of our nation-wide branches.